The fall armyworm, a vicious and relentless species, gets its name from the troop-like method it employs to travel through fields and decimate everything in its path. Experts believe that the invasive species was introduced to the region via imports from other parts of the world. The destructive species is native to North and South America, but the risk of it spreading to Asia and the Mediterranean has now greatly increased due to its thriving in Africa. Scientists believe that the caterpillar or eggs that leak in alongside imported produce are able to establish themselves quickly in the right environment and cause damage at alarming rates. Since last year, armyworms have invaded and obliterated a third of Zambia's 3.5 million acres of maize fields. Zimbabwe, which has already suffered through two years of a crippling drought, was once a powerhouse agriculture producer of Southern Africa. The nation now relies on food assistance due to the havoc wreaked by El Nino on its climate. Furthermore, there are concerns that President Mugabe of Zimbabwe is not taking action quickly enough, and the lack of pesticides that should be provided by the government might prolong the food shortages. Zambia has employed military aircrafts to spray affected farmland with insecticides. The crop shortages and looming price increases indicate that South Africa's impoverished will suffer more than usual. Southern Africa has been a target of armyworm invasions in the past, but none that were endemic to the Americas and immune to their counteractive pesticide measures created with African armyworms in mind. A major victim of this invasive species has been maize, a massive export and regional staple for many dishes. Though measures are being taken, slowly and perhaps a little later than is ideal, Southern Africa might not be seeing the last of the worms. Eggs can withstand the pesticides and are viable to hatch the following season. 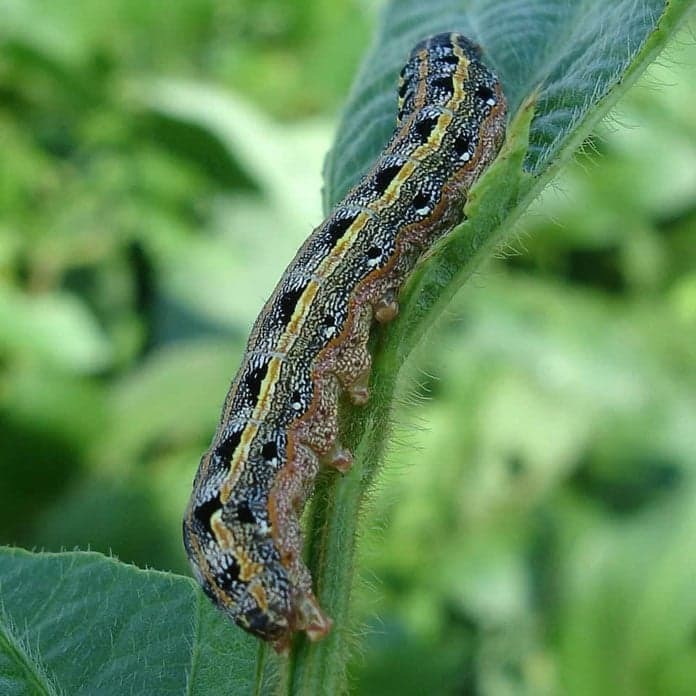 Chimimba David Phiri, the Southern Africa head of the Food and Agriculture Organization of the United Nations (FAO), has stated, "Armyworm has been a problem this season in my maize crop. We started spraying this past week and we are now starting to see the results, but it has been really a challenge." Make sure to check back the rest of the week for more blog posts on the agriculture industry!